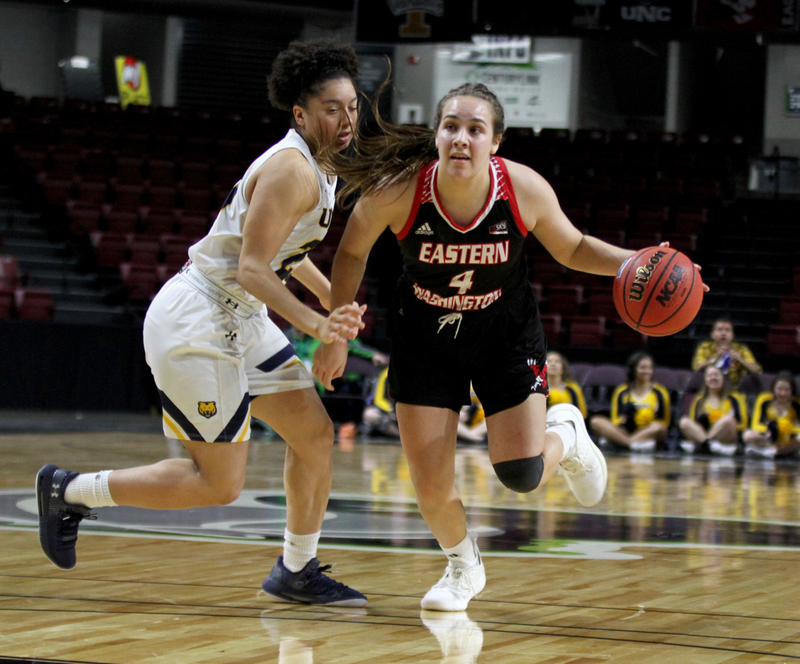 Eastern Washington freshman Jessica McDowell-White officially closed an era in Big Sky women’s basketball with one unexpected, ingenious, game-winning play, throwing the ball off the back of Northern Colorado’s Savannah Smith and converting an and-1 layup with three seconds left to give the Eagles a 59-57 win Wednesday in the conference tournament semifinals. The play gave the upstart, No. 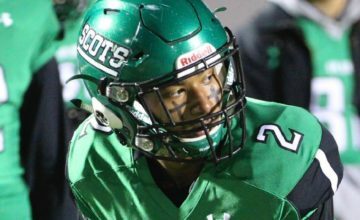 6 seed Eagles their third win in three days and sent them to the conference championship, where they’ll play No. 4 Portland State at 1 p.m. Friday for an automatic bid to the NCAA Tournament. The final play electrified the end of a defensive struggle that saw the two teams combine to shoot under 35 percent. And it ended the career of Smith, one of the greatest scorers in Big Sky history and part of a Big Sky senior class that also included Idaho’s Mikayla Ferenz, the conference’s all-time leading scorer, and Taylor Pierce, perhaps the greatest shooter in conference history. The Idaho duo was eliminated just a few hours before Smith in a 75-59 loss to Portland State, combining for just 15 points in one of the least productive joint shooting nights of their storied careers. After that, Big Sky observers were guessing that Smith, the Big Sky MVP a year ago, would likely return things to their normal order, and for a quarter, it looked like she would. The point guard scored 15 of her team’s 19 points in the first 10 minutes with an incandescent shooting exhibition. 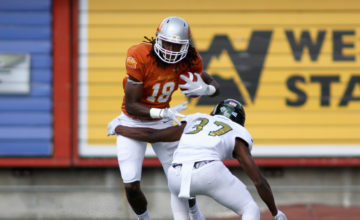 The display left Eastern barely hanging in the game, down 19-8. From there, though, things changed. Eastern did a better job denying Smith the ball, and the UNC star began to misfire on the opportunities she did have. 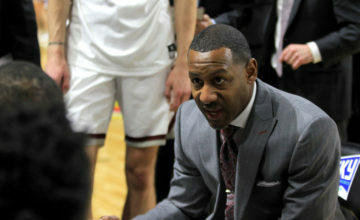 Smith made just one field goal after the first quarter and finished the game 6-of-28 from the field with 20 points, and Northern Colorado scored just 16 points over the second and third quarters combined. The Bears shot just 30 percent from the field overall, and 19 percent from 3. Eastern struggled shooting as well, but led 36-35 after three quarters, setting up a blockbuster finish. 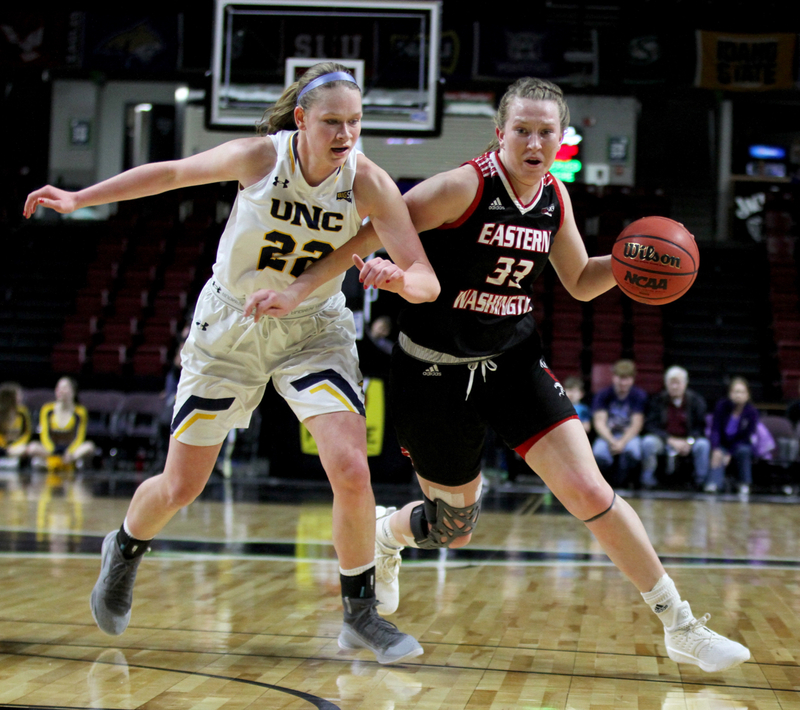 Northern Colorado continued to miss shots at a crazy pace, but the Bears, led by Ali Meyer and Abby Kain inside, got 23 offensive rebounds to Eastern Washington’s seven, affording them a huge advantage in extra possessions. Down five with 1:04 to go, Smith made two free throws and Alexis Chapman made a layup. That cut Eastern’s lead to 56-55, and it stayed that way until there were seven seconds left. After Smith forced a turnover on an Eastern inbounds pass, she drove baseline left and missed badly, but point guard Krystal Leger-Walker grabbed the rebound and converted the putback to give Northern Colorado a one-point lead. Eastern Washington brought the ball back down, and a kick violation gave them the ball under the basket, setting up McDowell-White’s heroic play. 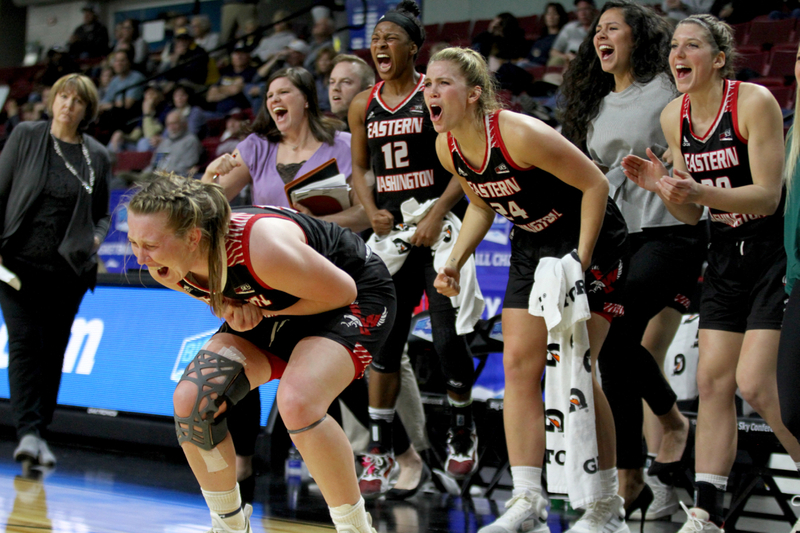 Leger-Walker’s desperate pass to midcourt was intercepted, setting off a celebration for an Eastern team that had won just 10 games in the regular season — and a program that hadn’t made a Big Sky championship game in 31 years.